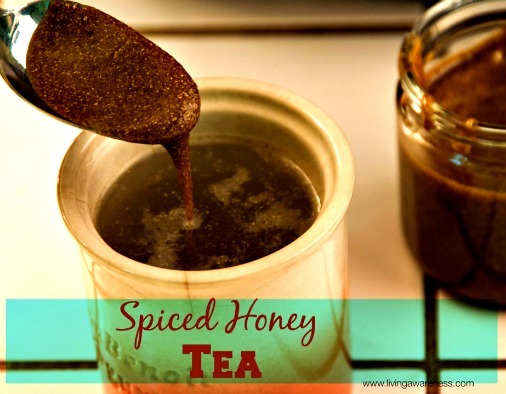 Kami shares her recipe for spiced honey tea which is a perfect home remedy for an upset stomach. It’s a simple recipe that uses honey and 3 dried and powdered herbs. Kami explains how to mix, store and age the herbal honey. One herb has been used as a diuretic and to treat upset stomachs. The second herb is a digestive aid that relieves abdominal cramps, gas and bloating. The third herb works as an antispasmodic drug and relaxes digestive muscles that cause stomach disorders. When you have a stomach ache or have eaten too much, you just put a tablespoon of honey into a cup of hot water and drink it as a tea. Click on the How to Make Happy Tummy Honey link below to see the complete recipe.